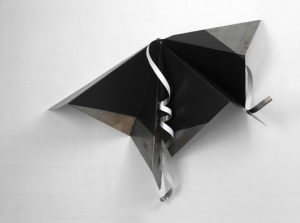 Loved Despite Great Faults (2008) by Andrea Da Corte, via Yvon Lambert Gallery. 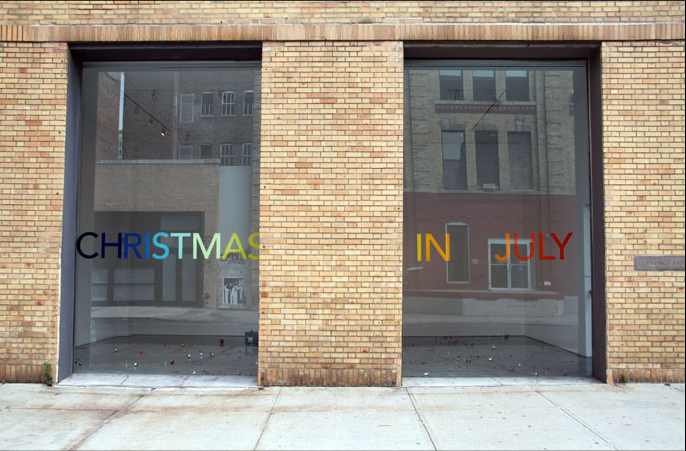 Currently on view at Yvon Lambert in New York is “Christmas in July,” a group show which features the work of John Baldessari, Lynda Benglis, Michael Brown, Alex Da Corte, Douglas Gordon, Christian Holstad, and Katja Strunz among others. 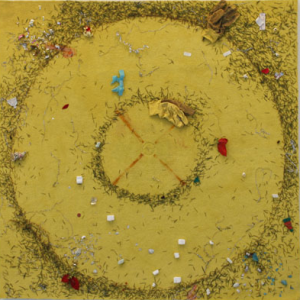 The exhibit also includes a section of the gallery designated to artist Jonathan Horowitz who creates a “Free Store” where visitors can drop off their belongs and take things if they please. The work displayed reveals the multiple meanings of the spirit of Christmas. 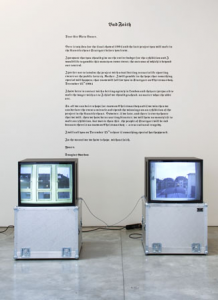 Bad Faith (1994) by Douglas Gordon via Yvon Lambert. 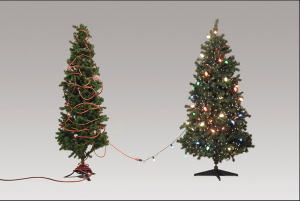 “During both Christmas and the Saturnalia, society functions according to a double rhythm of heightened solidarity and exaggerated antagonism and these two aspects act together in balanced opposition,” wrote renowned anthropologist Levi-Strauss. The ancient Roman celebration of Saturnalia was also celebrated in December and involved rich festivities, gift exchange and friendly gatherings. Untitled (2007) by Katja Strunz, via Yvon Lambert. 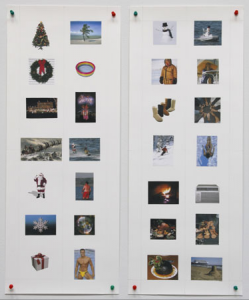 The works at Yvon Lambert refer back to Strauss’ idea of a duality during Christmas time; feelings which are purely religious are juxtaposed with those which are secular, simple gift exchange is compared to the commercialization of Christmas and celebration is contrasted with anxiety. Christmas and July (2010) by Matt Keagan, via Yvon Lambert. The idea of “Christmas in July” was taken from Preston Sturges’ Hollywood comedy Christmas in July (1940) during which the main character spends heavily acquiring needless items after his colleagues trick him into the belief that he won $25,000. Christmas in July is regularly celebrated especially by countries in the southern hemisphere where it is now winter. It is often a way of marketing products to make up for the lack of business and sales opportunities during the summer months. 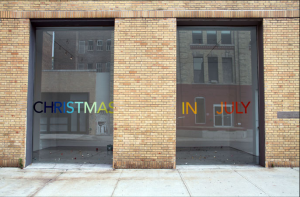 A colorful and engaging exhibition, this group show reveals the irony of celebrating Christmas as well as Saturnalia during the opposite time of the year. 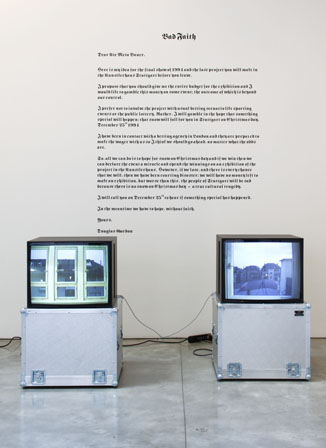 This entry was posted on Wednesday, July 28th, 2010 at 1:00 am	and is filed under Go See. You can follow any responses to this entry through the RSS 2.0 feed. You can leave a response, or trackback from your own site.